All Bon Jovi items listed below are authentic and very limited. We do not carry multiple items. All prices and availability are subject to change. All prices include shipping and handling for all USA customers. All other destinations will require actual shipping cost to complete transaction. Have a question? Ask us before purchasing the item. Thank You. 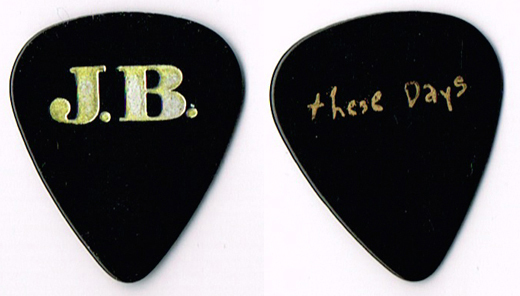 Description: Jon Bon Jovi - These Days Concert Tour Pick. 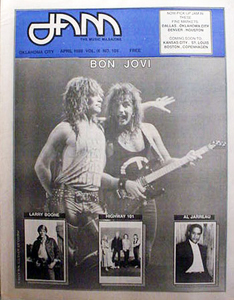 Description: 1988 Jam Magazine featuring Bon Jovi. 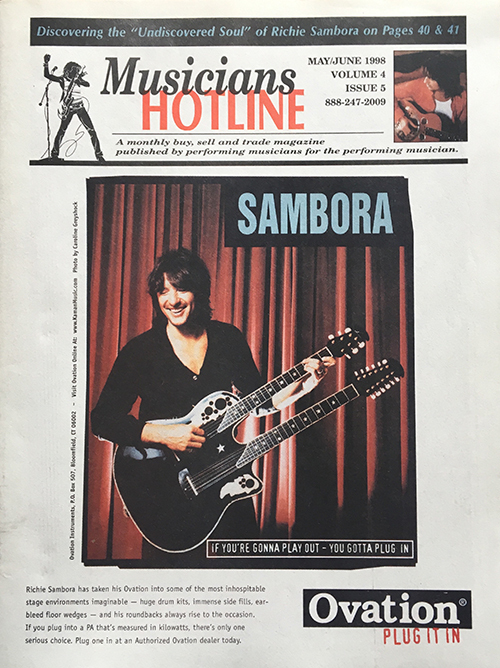 Description: 1988 Musical Express Magazine. 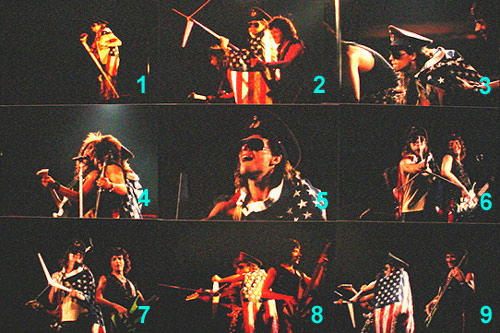 Featuring Bon Jovi, Cheap Trick and Iggy Pop. 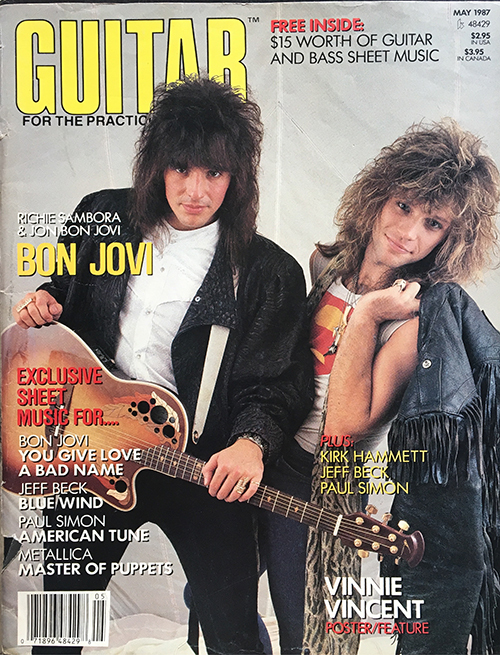 Description: Bon Jovi Guitar For The Practicing Musician Magazine May 1987. 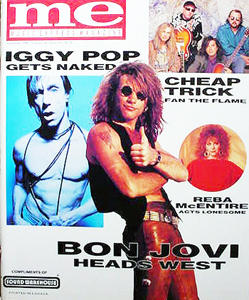 Description: Bon Jovi Musicians Hotline Magazine May June 1988. Description: 1988 Bon Jovi New Jersey LP promo pin. Limited pin small 1" metal. Description: The Alarm / Bon Jovi / The Bangles / Psychedelic Furs. 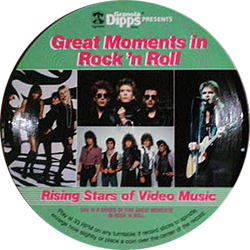 Quaker Oaks promo 45 rpm floppy disc. Contains a short song by each artist. 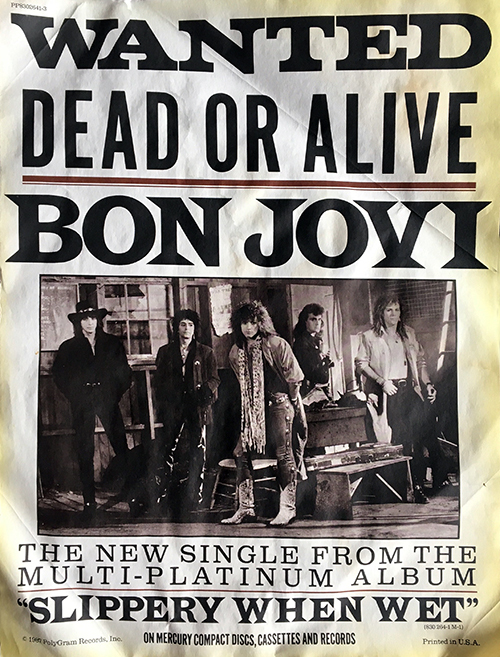 Description: Bon Jovi 1987 Promo Poster For New Single Wanted Dead Or Alive. 12x18 BW. Note: This poster has creases, a rip, wringles and yellow stain. Its the way it was released to make it look vintage.